This is the first time I have been on this trail. It’s a great trail since it’s right along the reservoir and has plenty of lush greenery. There are plenty of walkers, runners, bikers, and even rollerblading, something for everyone to enjoy! It’s a nice 6 mile ride out to the dam, the roads are nicely paved and the trail provides a mix of good shade and plenty of sun! Once you get to the dam it is a great open area with water on one side and tons of greenery on the other side. 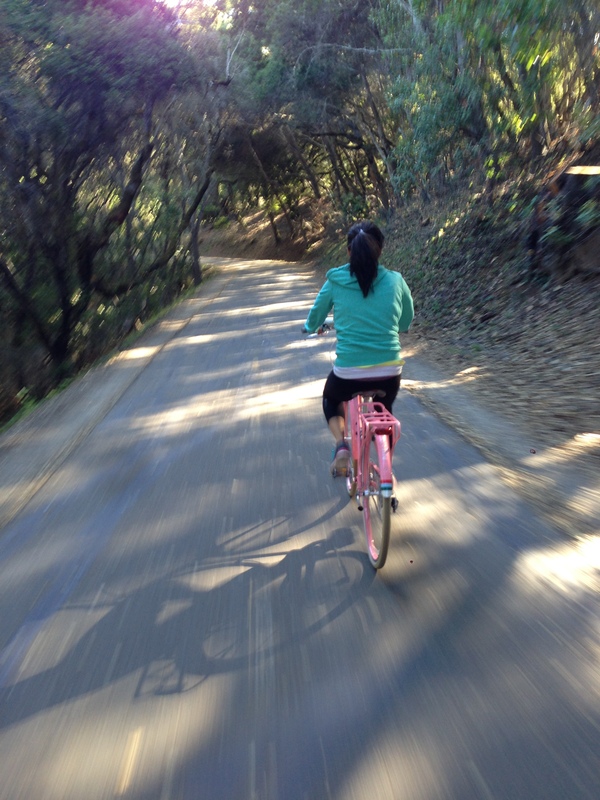 If anyone knows of any other great easy biking trails around the bay area let me know! I am waiting to get my wick basket for my bike so I can carry some goodies…mostly snacks and maybe have a little picnic! Till then… go outdoors and enjoy nature, happy riding!